Pets on Q was started by me simply helping a few Animal Influencers who were overwhelmed when big businesses started contacting them. I would negotiate, review contracts and handle their business transactions. Rapidly, this transformed from a fun hobby to my creating a full time industry around Animal Influencers. We capitalized on a niche in an untapped market and are maintaining our spot as the industry leader in paid promotions, book deals, commercials, TV spots, appearances, merchandise and everything animal celebrity related. We are more than an LLC, our motto is,“ Pets on Q is dedicated to making the world a better place one animal at a time.” Wherever we can help rescue an animal in need for a commercial that doesn't fit one of our animal celebrities- we do it and from high kill shelters. We then foster, train, run the shoot and get the animal adopted. It may not be the easy way BUT it’s our way. I am often asked "how did you get into this?" and the only answer I give is, “naturally.” While living in NYC I was working as a private mortgage banker in the top producing office in the country. I was the youngest producer and one of a few women bankers in a fast tracked, high-stress, finance career. In that time, I rescued a large mutt from a shelter who was minutes away from euthanasia due to his aggression issues. I trained him myself, and subsequently attracted some attention but it wasn't until I pulled a deaf Dalmatian from the same shelter- who know knows 40 signs in ASL and a therapy dog for local hospitals. People started asking me to train their dogs after they saw my animals transformation. Then we started booking gigs in NYFW, huffington post, buzzfeed, commercials, and major magazines. Eventually, I decided to actually learn how to train animals from a movie and film professional animal handler. That is what I did on weekends as a de-stresser from the fast paced NYC life. My Dalmatian, Charles, experienced a small amount of internet fame at only 16k; that was enough to plug me into this world with animals far more famous. A few saw what he was doing and wanted to do it too. That’s when I had the idea to help them in print/film, and manage their careers. After a lifetime of schooling and professional training, I moved to Los Angeles from Utah years ago with my husband and young daughter in order to pursue my dreams of stage and screen stardom.... and promptly got a "day job" to make ends meet. Listen to your parents, kids- that Theatre Degree won't do a darn thing for you. Major in Business and Marketing, you will thank me later! Anyways, that day job ended up being the start of a lucrative career in Mortgage Finance that would span over fifteen years and culminate with several years in a Private Mortgage Bank in Beverly Hills. This was supposed to be the big leagues of finance: big loans, rich clients, multiple properties and lots and lots of commission. The only problem was, I hated it. Sure, the people were nice and the paychecks were fat, but the drive drained my sanity and the work sucked my soul. Then, one day, I was told that my new next door neighbor would be a Banker from the NYC office, and Colleen walked into my life. We hit it off immediately, but it wasn't until a few weeks later that we realized that we both own disabled dogs, hers being deaf and mine being an amputee, I knew it was kismet and meant to be. We both loved animals and had lofty dreams of "someday" having an animal sanctuary on the West Coast with everything from farm animals to exotics. Then she started filling me in on her side business and explained to me what Animal Influencer Management is and I was immediately intrigued. Each day as I was going over income spreads and chasing down appraisals on my mountain of loans, I would hear her on the phone talking about transporting a sloth for a commercial or booking a famous animal for print work, and it would interest me more. Finally, I decided to take the plunge and started working with Colleen a few days a week on Pets on Q business, while still trying to maintain my day job. That quickly turned into full time and I retired from finance in June of 2017 and have never looked back. At the present time we are focused on building our talent roster with the most famous animals on the planet, all while continually delivering content to our clients that surpasses expectations. This, coupled with a major focus on animal rescue and promoting the ideal of putting animals first, is why I decided to completely switch industries at the tender young age of 40 and go all-in for Pets on Q. For many years I’ve worked in the music entertainment industry with experience in licensing, marketing and talent relations. Yet, ever since I was a child I’ve always wanted to work with pets and animals. I’ve been the proud parent of pugs, chows, huskies, turtles, and even an adorable albino ferret. So when I was presented with the opportunity to work with PetsOnQ; it felt as if a dream had come true. 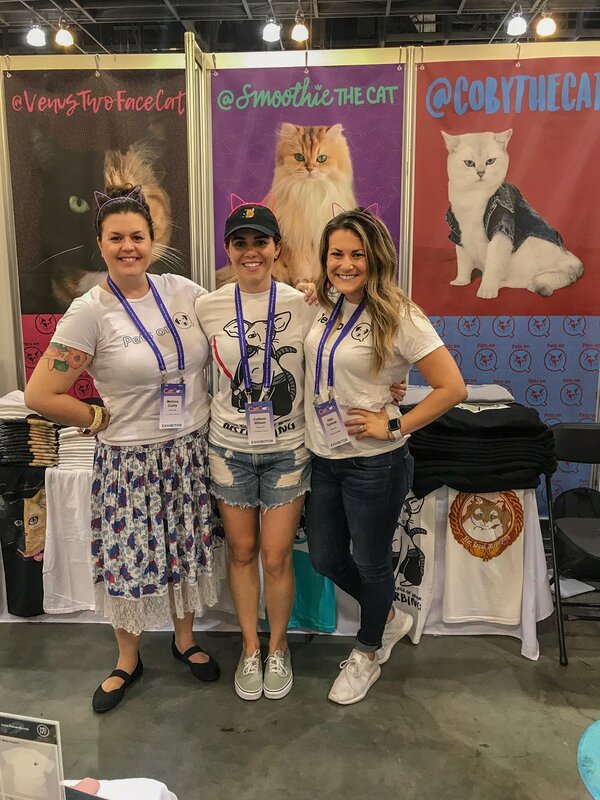 Now I am able to utilize my experience from the entertainment industry and help fellow pet owners such as myself to build a fruitful brand for their pets centered in love and community.